Narendra Modi | File photo. 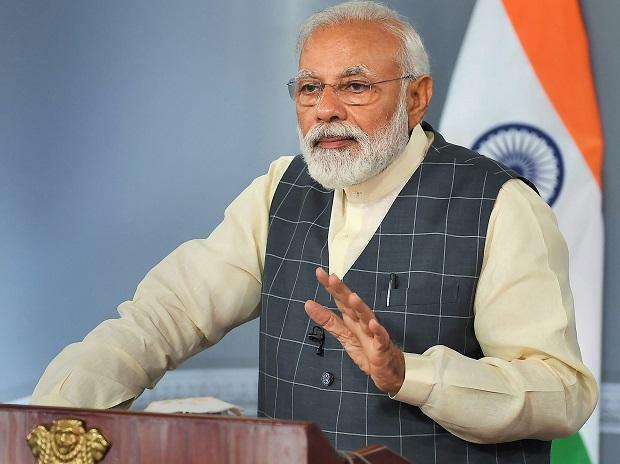 The BJP has announced the names of 297 candidates for the Lok Sabha polls in six lists released so far, including Prime Minister Narendra Modi from Varanasi and party chief Amit Shah from Gandhinagar. Home Minister Rajnath Singh will again contest from Lucknow while party's senior leader and Union Minister Ravi Shankar Prasad from Patna Sahib in Bihar and national spokesperson Sambit Patra from Puri in Odisha. The big names which were announced on Saturday includes Ravi Shankar Prasad who will be now the party's candidate from Patna Sahib replacing film actor and sitting MP Shatrughan Sinha. The party also announced the candidature of its national spokesperson Sambit Patra from Puri, where Modi's name was also speculated as a candidate. The highlight of the first list was the party's decision to field Shah from Gandhinagar in place of its veteran leader L K Advani.